In any development process, errors are something that you cannot avoid, no matter how competent and thorough you are when writing your code. As a WordPress developer, it is your job to make sure any of your code errors are being handled correctly without affecting the end user. WordPress is shipped with a basic error handling class, namely WP_Error that can be used and integrated into your code for basic error handling. In this tutorial, we will take a look at the basic anatomy of the WP_Error class, how it works and most importantly, we will cover how to integrate the WP_Error class within our application. The structure of the WP_Error class is actually really simple and yet powerful enough to be used as an error handling mechanism for your plugin. The whole source code for the WP_Error class can be found in the wp-includes/class-wp-error.php file. Let’s take a look at its properties and the methods available. WP_Error only has two private properties namely $errors and $error_data. $errors is used to store related error messages while $error_data can be used optionally to store related data that you want to access later on. WP_Error uses a simple key-value pair to store the related errors and data into the object, so the key defined in WP_Error must be unique to avoid it overwriting the previously defined key. WP_Error comes with various methods that are ultimately modifying the two properties it contains. Let’s take a look at a few of them. get_error_codes – Returns all the available error codes for that specific WP_Error instance. If you only need the first error code, there is another separate function called get_error_code. get_error_messages( $code ) – If $code is not supplied, the function will simply return all the stored messages in that specific WP_Error instance. Again, if you only need to return a message for a specific error code, simply use get_error_message( $code ). add( $code, $message, $data ) – This function is particularly useful when you want to modify the errors stored in the instantiated. WP_Error object. Note that even $message and $data are not compulsory, the $errors variable will still be populated. add_data( $data, $code) – If you intend to only modify the $error_data property, this function can be used. Note that the $code argument comes second, opposite of what we have with the add method. If no $code is supplied, the error data will be added to the first error code instead. remove( $code ) – This is a rather new method added recently in WordPress 4.1 that removes all the associated error messages and data from the specific key. How can you know if a specific variable or data returned from a function is an instance of the WP_Error? Well, there is a utility function that you can simply check that, called is_wp_error which return true or false depending on the variable given. is_wp_error( $thing ) – Return true if $thing is a WP_Error instance, false otherwhise. It is not enough to just to know how the WP_Error internally works, you also need to learn how to implement it well within your own application. Let’s walk through a few examples to get a better idea on how it works. WordPress offers a lot of utility functions that can be used to speed up our development process. Most of the functions are also well equipped with basic error handling capabilities that we can use. As an example, wp_remote_post is a very helpful function that we can use to make a remote POST request to a specific URL. However, we cannot expect that the remote URL is always accessible or our request is always successful. What we do know from the codex page is that this function will return the WP_Error on failure. This knowledge will help us along the way to implement error handling correctly in our application. Take a look at this snippet. As you can see, we are executing a remote POST request to a $url. However, we do not simply take the $response data as it is, but instead, we do a little checking with our handy is_wp_error function that we covered earlier. If everything is fine, then only we can proceed with what we want to do with our $response. Let’s say you have a custom function that handles a contact form submission called handle_form_submission. Assuming, we have a custom form setup somewhere, let’s see how we can make the function better by implementing our own error handling functionality. Of course, you will need to implement your own sanitization and validation in that functions as well, but that is out of scope for this tutorial. Now, knowing that we are correctly returning the WP_Error instance on error, we can use it to supply a more meaningful error message to the end user. Perfecting your craft in software development also means knowing what to do when your code fails to do what it is supposed to do, and making sure that your application can handle it gracefully. 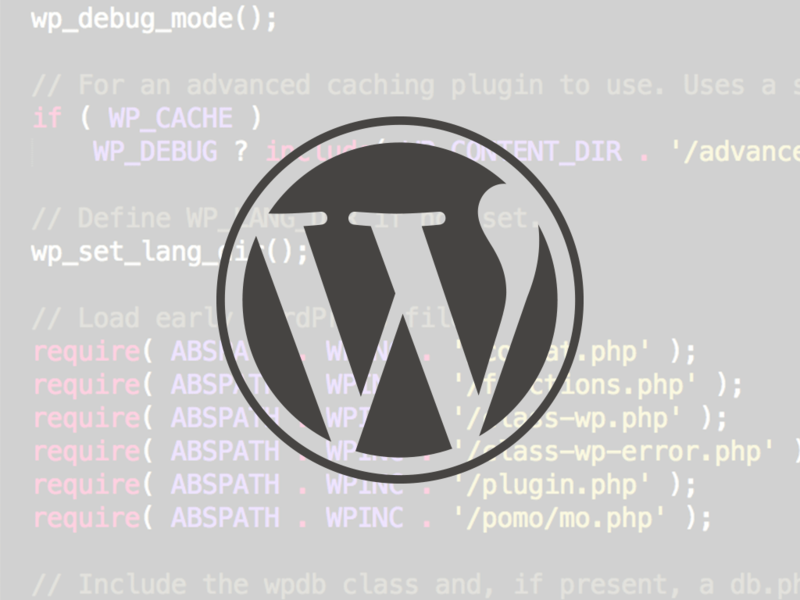 As far as WordPress goes, using the WP_Error class that is shipped with it provides a rather simple yet powerful implementation of error handling that you can integrate it within your application. What are your thoughts? How are you using the WP_Error in your daily development process? Please share it with us below.